Millions of viewers who tuned in to the Univision network to watch last night’s State of the Union address were not only treated with the first-ever State of the Union televised live entirely in Spanish, but also saw a radically different Democratic response to Bush’s last address to the nation. Unlike what millions of Americans saw immediately after Bush’s address to the nation (the English-language response by Kansas governor Kathleen Sebelius) Univision viewers got their very own respuesta, in Spanish, delivered by Mexican-American Leticia Van de Putte (pictured above) the Texas State Senator with a mildly unfortunate name. Just to clarify: while Mr. Bush’s speech was simultaneously translated into Spanish, Van de Putte’s response –which is already up in YouTube— was delivered in her almost-perfect Spanish. In her response, Van de Putte termed seven years of Bush administration economic policy as a disaster (or shall I say desastre) for many Hispanics. “Latinos find themselves working more and more in our country today and taking home fewer wages,” she said. Kudos to Univision for putting that together. And for those of you who don’t know, Van de Putte is the politician behind the 45-day walkout to New Mexico in 2003 and one of the few women lawmakers who last year supported a controversial plan to vaccinate young girls against a sexually transmitted virus. She has also (of course!) 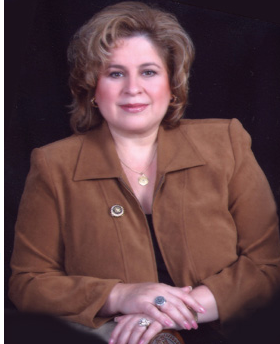 named Mexican-American woman / politician / person of the year by numerous Hispanic organizations nationwide. Go figure.